WOW! One of Shea's Best! Shows like a Model!!! Comes w/ 3 bedrooms/3 baths & Loft* Upgraded Cabinets*Gas appliance package* Granite counter-tops*Extra electrical* 4 1/4''baseboards*two tone interior paint* upgraded stair rail* gorgeous flooring selected by interior designers*Spacious master suite w/ rare designer rounded wall architecture for state of the art modern comfort. Also includes Solatube @ master closet*This home also features a bedroom and a full bathroom on the first floor. Outside enjoy an entertainer's patio/blt-in BBQ. 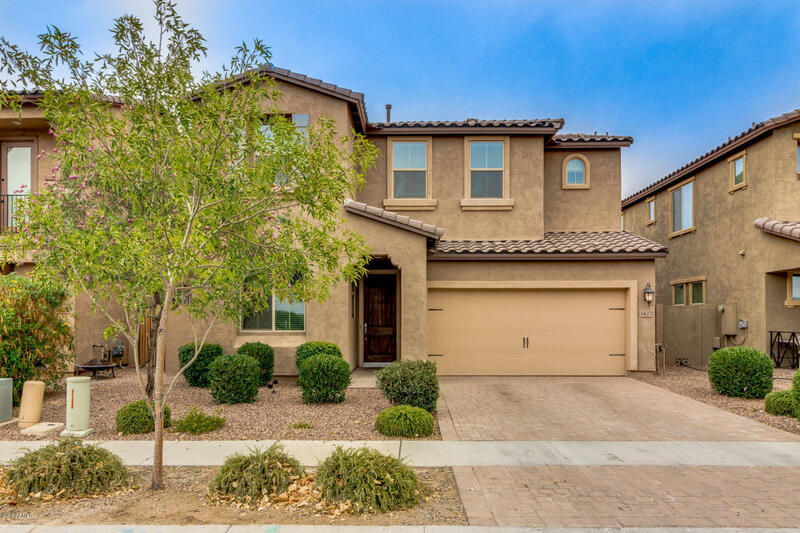 The Bridges at Gilbert is an exceptional master plan community w/ meandering lakes/streams, trail systems, covered picnic areas, basketball/bocce ball courts, amphitheaters, splash pads, BBQ grills, play structures, game tables,community parks,& much more.